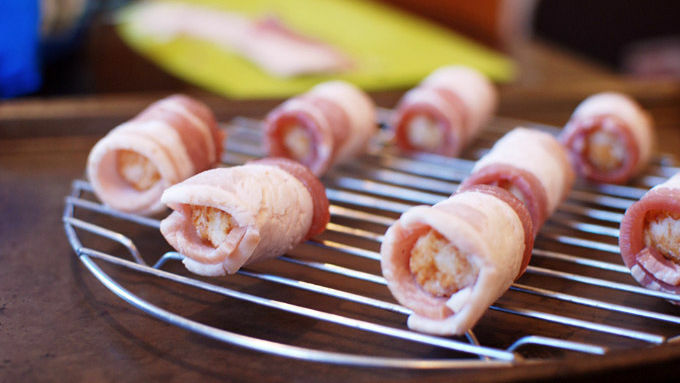 Cut the bacon in half in the center. 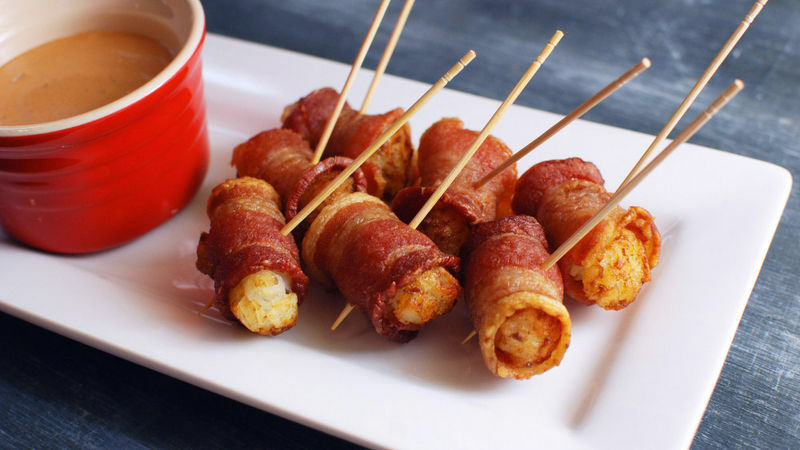 Wrap a piece of bacon around each tater tot. Place onto a rack over a baking sheet with the seam side down. Repeat until you have wrapped all the tots. Cook at 450°F until the bacon is cooked; about 25 minutes, but cooking time will vary depending on the bacon thickness, so keep your eye on it! 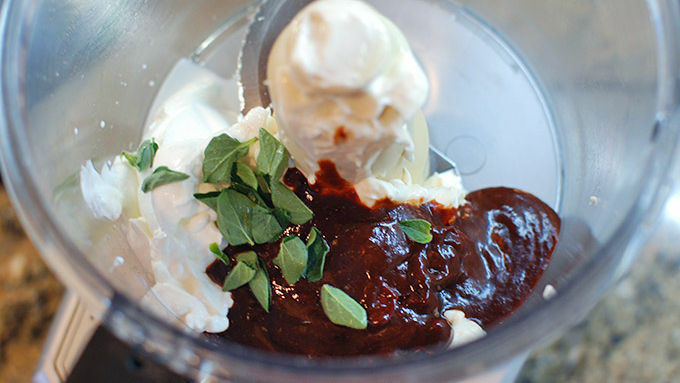 Mix all the chipotle dip ingredients in the food processor. Pulse until smooth. Skewer the tots with toothpicks and serve with the chipotle dip. Need the perfect party app? How about bacon-wrapped tater tots! These tots are easy to assemble and served with a chipotle mayo dip. We have all had bacon-wrapped scallops, and even jalapenos, but I had never had a bacon-wrapped tater tot before making these. Let me tell you, it was a revelation! Unlike some of the other bacon-wrapped goodies I mentioned, these tots are for EVERYONE. Who doesn’t like bacon and potatoes?! They're also perfectly pop-able, and elevate the humble tot to fancy party snack level. Serve them with this simple chipotle dip and your friends will be so impressed (and you might be embarrassed by how easy the recipe is). Some toothpicks and a nice plate are the final touches that elevate this simple app. The creamy spicy dip is the perfect compliment for these salty, crispy snacks.